CK) Live FBS Inc CL) Live FBS Inc CS) Live International Capital Markets Pty Ltd. CT) Live International Capital Markets Pty Ltd. CU) Live International Capital Markets Pty Ltd. CV) Live International Capital Markets Pty Ltd. CW) Live International Capital Markets Pty Ltd. CX) Live International Capital Markets Pty Ltd. CY) Live International Capital Markets Pty Ltd. CZ) Live International Capital Markets Pty Ltd. PLEASE TAKE NOTE THAT THIS ACCOUNT PERFORMANCE IS IN TANDEM TO ACCT CL (783366). PLEASE AUTO-COPY TOGETHER. WARNING! - DO NOT AUTO-COPY WITH ONLY ONE ACCOUNT. - USE 1:3000 (FBS WITH $1k CAPITAL) AND ABOVE ACCOUNT - USE SAME LOT SIZE TO CAPITAL RATIO . PLEASE TAKE NOTE THAT THIS ACCOUNT PERFORMANCE IS IN TANDEM TO ACCT CK (789507). WARNING! - DO NOT AUTO-COPY WITH ONLY ONE ACCOUNT. - USE 1:3000 (FBS WITH $1k CAPITAL) AND ABOVE ACCOUNT - USE SAME LOT SIZE TO CAPITAL RATIO . PLEASE TAKE NOTE THAT THIS ACCOUNT PERFORMANCE IS IN TANDEM TO ACCT CT (1000022378). WARNING! - DO NOT AUTO-COPY WITH ONLY ONE ACCOUNT. - USE 1:500 AND ABOVE ACCOUNT - USE SAME LOT SIZE TO CAPITAL RATIO .. PLEASE TAKE NOTE THAT THIS ACCOUNT PERFORMANCE IS IN TANDEM TO ACCT Cs (1000019987). WARNING! - DO NOT AUTO-COPY WITH ONLY ONE ACCOUNT. - USE 1:500 AND ABOVE ACCOUNT - USE SAME LOT SIZE TO CAPITAL RATIO .. PLEASE TAKE NOTE THAT THIS ACCOUNT PERFORMANCE IS IN TANDEM TO ACCT CV (1000022382). WARNING! - DO NOT AUTO-COPY WITH ONLY ONE ACCOUNT. - USE 1:500 AND ABOVE ACCOUNT - USE SAME LOT SIZE TO CAPITAL RATIO .. PLEASE TAKE NOTE THAT THIS ACCOUNT PERFORMANCE IS IN TANDEM TO ACCT CU (1000022379). WARNING! - DO NOT AUTO-COPY WITH ONLY ONE ACCOUNT. - USE 1:500 AND ABOVE ACCOUNT - USE SAME LOT SIZE TO CAPITAL RATIO .. PLEASE TAKE NOTE THAT THIS ACCOUNT PERFORMANCE IS IN TANDEM TO ACCT CX (1000016227). WARNING! - DO NOT AUTO-COPY WITH ONLY ONE ACCOUNT. - USE 1:500 AND ABOVE ACCOUNT - USE SAME LOT SIZE TO CAPITAL RATIO .. PLEASE TAKE NOTE THAT THIS ACCOUNT PERFORMANCE IS IN TANDEM TO ACCT CW (1000019980). WARNING! - DO NOT AUTO-COPY WITH ONLY ONE ACCOUNT. - USE 1:500 AND ABOVE ACCOUNT - USE SAME LOT SIZE TO CAPITAL RATIO .. PLEASE TAKE NOTE THAT THIS ACCOUNT PERFORMANCE IS IN TANDEM TO ACCT CZ (1000021240). WARNING! - DO NOT AUTO-COPY WITH ONLY ONE ACCOUNT. - USE 1:500 AND ABOVE ACCOUNT - USE SAME LOT SIZE TO CAPITAL RATIO .. PLEASE TAKE NOTE THAT THIS ACCOUNT PERFORMANCE IS IN TANDEM TO ACCT CY (1000021242). WARNING! - DO NOT AUTO-COPY WITH ONLY ONE ACCOUNT. - USE 1:500 AND ABOVE ACCOUNT - USE SAME LOT SIZE TO CAPITAL RATIO ..
Do you know that your Trade System succeed MOST of the time? But your human side (Emotions, Time, Physical) LIMITS you. So what shall we do? We robotised it! 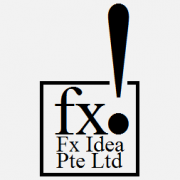 FXIdea Pte Ltd.
Its not 1 man to many books, its about 1 book to all men. That is our favourite book. Basic Indicators and Reverse Hedging.